Our company is offering Herbal Capsules to our valuable clients. In conformity with the concert of international quality standards, the offered capsule is processed using high quality natural ingredients and advanced processing technology. Vasaka is the preparation of the natural origin, which supports the lungs’ function and helps when there are respiratory problems and coughing. In Ayurvedic medicine Vasaka is widely used for treatment of respiratory and throat: Colds, cough, chronic bronchitis and asthma. It acts as a good expectorant and removes the phlegm (kapha) from the lungs. Vasaks helps in curing the poor digestion and improves appetite. Vasaka is beneficial in treating tuberculosis. It helps to treat colds and cough too. The extract of Vasaka helps to treat bronchial spasms and also liquefies the sputum which ultimately helps to relive cough of any kind. This herb can be used for curing back pain and other joints pain. Vasaka leaves provide some relief from the intestinal worms. It helps in proper functioning of Liver. Adhatoda vasica is a well-known plant drug in Ayurvedic and Unani medicine. It have been used extensively in Ayurvedic Medicine primarily for respiratory disorders.An unique herb that helps support the bronchial function with bronchodilatory, expectorant and mucolytic properties. Vasaka normalizes lung function. Vasaka has a antispasmodic effect. It has showed a significant carminative effect with relief of nausea, gas colic and gaseous distension. Vasaka’s taken stimulates an increases the fibrinolytic effect at patients with ischemic heart disease, contributed to the excretion of the triglycerides and cholesterol. Volume or liquidity of you stools. Extremely watery faces and cramping stomach pains. It will help you to get rid of loose motions. 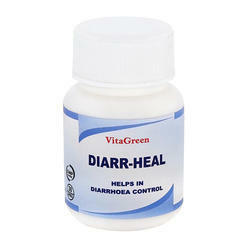 It enhances the process of digestion therby preventing diarrhoea. Prevents extremely watery faces and cramping stomach pains. Relives from fever, bleeding and weakness. Removed of virus causing diarreoah. 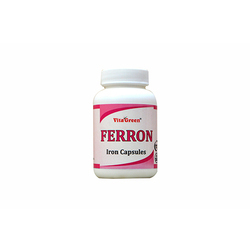 Iron Capsules are most commonly recommended for symptoms of anemia, such as fatigue, dizziness, rapid heartbeat, and shortness of breath. However, boosting iron in the diet also has some beneficial “side effects” that helps one to look and feel better, both outside and in. Iron is an important component of hemoglobin, the substance in red blood cells that carries oxygen from your lungs to transport it throughout your body. Hemoglobin represents about two-thirds of the body's iron. If you don't have enough iron, your body can't make enough healthy oxygen-carrying red blood cells. Ideally, you should take iron Capsules on an empty stomach because food can decrease the amount of iron your body absorbs. Taking iron supplements with foods or drinks that have vitamin C will help your body absorb the iron. Jamun capsules promotes pancreatic functions, supports relief in associated metabolic & urinary disorders and promotes proper utilization of glucose. It is also effective in to treat infections. Help in treating urinary disorders. Nutmeg is the seed of an evergreen tree that belongs to the genus Myristica. It is botanically known as Myristica fragrans Houtt. And has remained a popular spice used mainly for seasoning food and for medicinal purposes. Nutmeg is analgesic, anti-inflammatory, antioxidizing, hepatoprotective, antifungal, hemostatic, carminative, antiseptic, astringent, antispasmodic, anthelmintic, parasitical and insecticidal in nature. Sunthi or dried ginger is appreciated in medicine as a carminative and stimulant to the gastro-intestinal tract. For centuries, natural remedies have been used effectively to stimulate appetite and improve digestion. In traditional and folk medicines, ginger is widely recommended for treating a wide range of digestion disorders. Modern studies have confirmed the beneficial role of ginger in healing gastrointestinal malfunction. It is most commonly used as a household remedy for flatulence and colic. It is soothing for cold, cough, asthma, flu and other respiratory problems. It is a good heart tonic. It helps preventing various heart diseases by reducing blood clotting. It can also open the blockage in the blood vessels. Ginger also may help to lower high cholesterol making the heart healthy. Sunthi having a carminative and a stimulant properties which helps in cases of indigestion, nausea and morning sickness. It helps to prevent common cold, vomiting dizziness and very beneficial in digestive disorders, stomach and menstrual cramps treatment. Children may find it difficult to swallow capsules. Trikatu, containing black pepper, long pepper and ginger, which could effectively treat digestive disorders without producing any adverse side effect. Ginger, Black Pepper and Long Pepper are mixed together to stimulate the system, warm the digestion and improve assimilation of nutrients. It is a safe digestive and has carminative properties. It is digestive and anti-mucus powder that improves respiratory and gastric function. It promotes the production of digestive juices and increases the appetite in a person. It stimulates secretion of hydrochloric acid. It also stops the gaseous distension. It also helps in the rapid absorption of the nutrients in to the digestive tract. It is effective in curing dyspepsia and helps in proper circulation, provides heat to warm digestion and prevents the formation of gastric mucosa. It is strong stimulant and is used for both respiratory and digestive system. It rejuvenates the lungs and especially, for people with kapha constitutions. It is a safe stimulant and expectorant. It enhances the metabolic rate and the thermogenic effect. These properties helps in supporting the respiratory health. Trikatu is a herbal compound that provides a natural and safe support system for impaired gastric function associated with gaseous distension. Trikatu is a safe digestive, carminative and antiflatulent and is effective in dyspepsia. Trikatu has its primary effects in the upper GI tract, where it enhances the 'digestive fire' necessary for the breakdown of food and absorption of nutrients. Trikatu is a combination of natural herbs and is safe and effective. Triphala is a one of the most popular herbal preparations in the world. It helps support optimal digestive function. 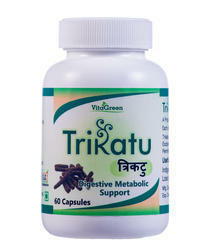 Triphala is a herbal compound comprising the fruits Indian Gooseberry, Chebulic myrobalan and Bellirica myrobalan. Triphala is considered a 'tridoshic rasayan', having balancing and rejuvenating effects on the three constitutional elements that govern human life: Vata, Pitta and Kapha. it is helpful in regularizing the normal peristaltic movements that are very essential for proper passage of food from one organ to another. This helps in aiding the digestion of food in proper amount of time. It acts as an appetizer as it helps in proper digestion of the food. Triphala works wonder for the stomach and is the best cure for all kinds of stomach-related disorders. It helps to improve digestion, boost appetite, relieve constipation and treat irritable bowel syndrome and other digestive disturbances. it is very effective in stimulating the liver for its functioning to the optimized level. More over it also helps in secretion of the bile juices that are very much required for fat metabolism. it acts as an antioxidant agent preventing any free radical formation in the body. This property of triphala helps it to prevent early aging signs like wrinkles and premature graying of hairs. Triphala churna is an Ayurvedic preparation that is a combination of the powdered fruit of three trees – haritaki, bibhitaki and amalaki. Triphala provides overall support for the digestive system and helps ensure that the digestive tract works at optimal levels. 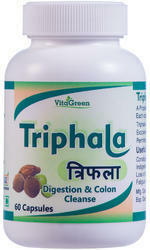 Triphala relieves constipation and regulates the digestive system. Triphala is used to help appetite and digestion, increase the number of red blood cells, and aid in removal of offensive fat in the body. Triphala can be used to clear congestion and headaches. Methi is a classical Ayurvedic Herb. It is very useful for Diabetes mellitus, rheumatism, acute diarrhea, indigestion, dyspepsia loss of appetite. It acts as a promoting digestive fire, vata dosa alleviating, strength promoting. It is an excellent cardiac tonic and prevents hardening of the arteries (atherosclerosis) which may lead to heart attack.